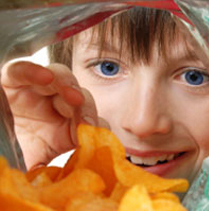 Entice your kids to eat more fruit and veggies with these nutrition tips and tricks! Cutting-Edge Ideas For Your Cookie Cutters! 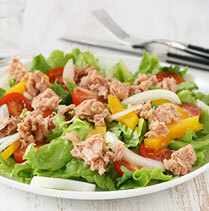 Don’t settle for a boring sandwich! Use cookie cutters to turn whole grain bread and cheese into fun shapes with recipes like this apple cheese pita pizzas. Similarly, make mini PB&J bites for a fun after-school snack. Make a regular peanut butter and jelly sandwich, then cut it into small rounds using a small circular cookie cutter. Watch how fast they get devoured! Use cookie cutters to cut larger fruit! Watermelons are perfect for this (see Super Crew kid Tom-Tom’s watermelon popsicles for more ideas with watermelon). Other large cookie-cutter friendly fruit includes honeydew melon, cantaloupe, pineapple, apples, and pears. Who says pancakes have to be round? Use your cookie cutter molds to make a fun breakfast. Kids will love it! Tortilla pizza makes an easy and delicious pizza. Make it even better by molding your tortilla into shapes before baking! You can toast the leftover tortilla scraps for soup or salad toppings. See our Super Crew colorful pizzas. Cookie cutters make for an easy and way to cut a frittata into eye-catching shapes. Save the end pieces mix with cooked potatoes and bell peppers for the adults to enjoy! Cut potatoes into shapes with cookie cutters before you roast them. Mini heart-shaped potatoes are perfect for date night. Don’t forget about sweet potatoes too! Give these mini-sweet potato cakes a try. Use the small, rounder cookie cutters to shape your cucumbers, jicama, and squash for a creative veggie tray. After tossing in a flavorful mix of olive oil, salt, pepper, turmeric, paprika, and garlic powder, roast cauliflower at 400ºF for 15-20 minutes. Bake some cauliflower tots– a healthy alternative to traditional tater tots. See our recipe for cauliflower tots and sweet potato cakes. Make cauliflower pizza dough. Remove cauliflower stems and leaves and then chop. Pulse the pieces in the food processor until it resembles a grain (be careful not to purée it). Pre-cook the crust on the stove top with olive oil or release moisture by microwaving it for about 4 minutes on high (or until tender). 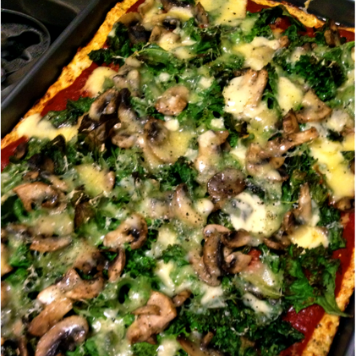 Add in an egg and your favorite herbs then mold into pizza crust on baking sheet. Once baked top with tomato sauce and cheese -it’s delicious! Enjoy cauliflower rice as an easy grain-free side dish. Simply pulse cauliflower florets in a food processor, as you did for the cauliflower crust until finely chopped. Sautee in olive oil with diced veggies and seasonings of your choice. Spiralize & Crinkle it up! 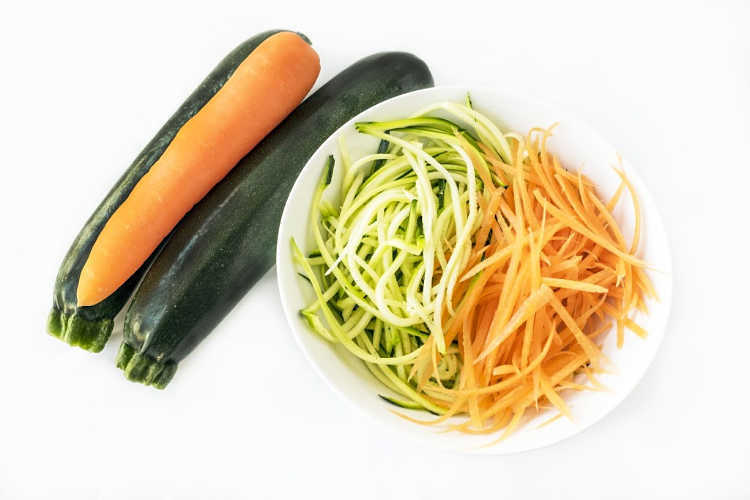 Purchase an easy handheld veggie spiralizer and serve zucchini noodles and other softer squash as noodles with marinara, or as a garlic, herb and olive oil dish. Have your kids create flavor with phytonutrient-rich herbs and spices to flavor it the way they like it. Buy pre-spiralized carrots, sweet potato or butternut squash. Bake with olive oil and serve with salt-n-pepper or sauce. 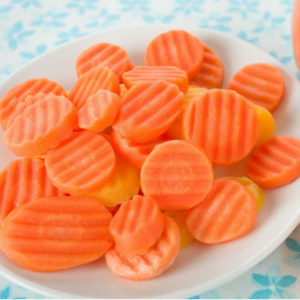 Make or buy pre-crinkled veggies like carrots which give a fun look and tasty and satisfying crunch and serve with a tasty Greek yogurt veggie dip. Don’t settle for the same old boring meals. Try at least one of these creative twists this week!